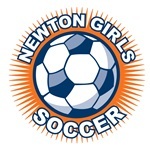 Newton Girls Soccer is a private, nonprofit organization dedicated to promoting girls’ soccer in the City of Newton. It is the largest girls’ soccer club in the state, providing in-town and travel soccer programs in the fall and spring seasons for over 1,300 girls. Further information about the City program and the Travel program can be found on the registration page. NGS is run by a Board of Directors, which is made up of parents of our players and other interested volunteers. The Board is elected each year at an Annual General Meeting in December. This meeting, and all Board meetings, are open to all parents of NGS players. The Board meets about six times each year to hear reports from its committees and to consider policy and fiscal issues. Board members work on one or more of several committees, each responsible for the day-to-day administration of different NGS activities – City (in-town) Program, Travel Program, Columbus Day Weekend Tournament, Communications & Technology, Coaches Development, Referee Development & Scheduling, Field Development & Scheduling, Equipment, and Player Training. Each year, the Board elects three executive officers – President, Treasurer and Clerk. The President oversees the general operations of NGS, and chairs an Executive Committee made up of the chairs of the various committees. The Treasurer coordinates preparation of the annual budget and maintains the club’s fiscal books and records. The Clerk maintains records of the Board and annual general meetings, and oversees other club communications matters. As the largest girls’ youth soccer program in New England, NGS relies on its many volunteers to coach teams, officiate games and carry out the many behind-the-scenes jobs and activities that ensure the continued high quality of its soccer experience. We are grateful to these volunteers for their contributions, effort and commitment! To provide each NGS player the opportunity to learn and play soccer in a supportive and rewarding environment that emphasizes fun, individual skills development, teamwork and sportsmanship, all at a level that fits her interest and ability. As a Club, NGS strives to create an environment that will foster individual character and team building, nurture the positive emotional and physical development of its players, and encourage the values of honesty and sportsmanship in all its members. The Club is committed to providing an environment appropriate for the levels of skill, competitiveness and commitment level of each NGS player. In this regard, NGS provides a variety of programs that match these characteristics of the individual player, presently comprised of a recreational program (City), a travel program (BAYS participation) and, integrated with the travel program, a specialized training program for our most highly committed players. The Club is also dedicated to developing and promoting the advancement and enhancing the overall experience of its coaches, match officials, administrators and leaders by providing ongoing education and training opportunities, so that these important members can contribute to the best possible experience for the players. NGS is an active member of the Newton community and seeks to involve girls from all areas of the city, including those from outside the City who attend Newton schools. NGS seeks to lead within the soccer community in regard to sportsmanship, innovation, creativity, varied programming and leadership. The Club is a non-profit organization that depends upon the involvement of its many volunteers for its successful operation.